Elias graduated from the Faculty of Law of the National and Kapodistrian University of Athens, Greece in 1989. 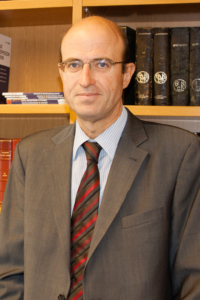 Was admitted to the Piraeus Bar Association in 1991 and to the Supreme Court of Greece in 2002. Elias obtained a master’s degree from the University of London, Queen Mary and Westfield College, Faculty of Law (LL.M., 1990).